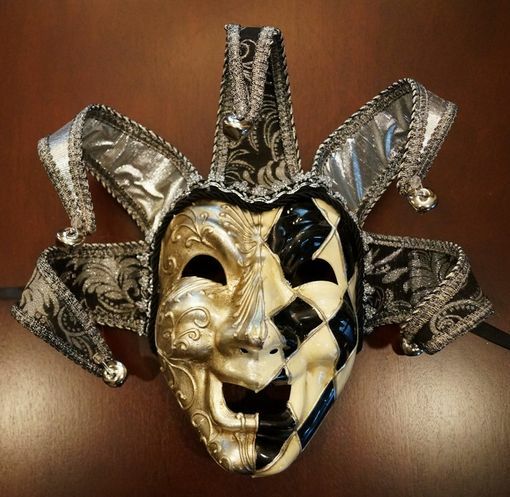 Comedy Jester mask is made out of a lightweight, durable plastic, molded to fit face. Tassels are bendable with brocade fabric & attached are bells. Can we worn with the ribbons attached to a masquerade ball or for display purposes.